My parents just got back from their annual trip to Florida for some spring break Major League Baseball. During their trip they had decided to visit Orlando and stayed at Disney’s Caribbean Beach Resort. 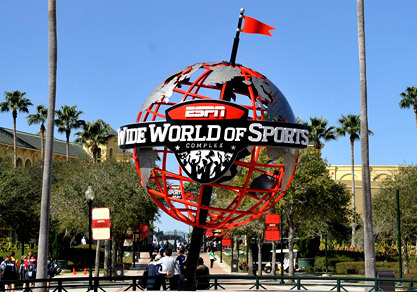 This allowed them quick access to the ESPN Wide World of Sports Complex on Disney property where the Atlanta Braves play during spring training. 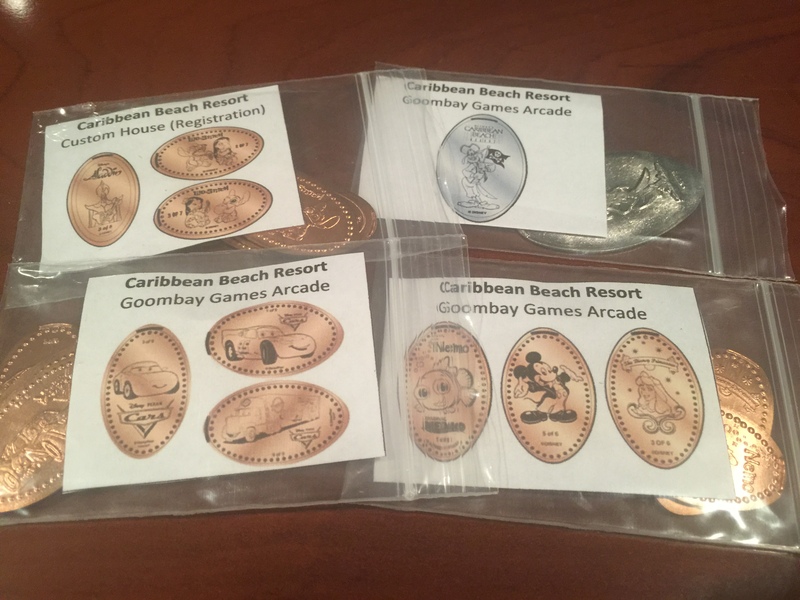 Knowing that my parents would be staying at a resort with a nice assortment of penny machines I put together a Coin Collecting Package which I had written about previously. After getting back in town they stopped by to see the grand kids and also drop off some gifts they had picked up. As my children eagerly sat on the couch waiting for their gifts I was doing the same thing. 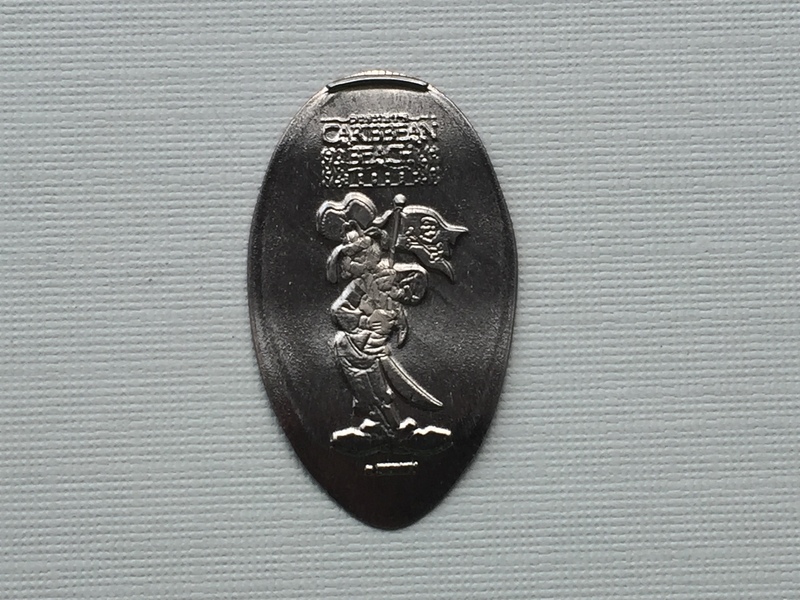 My dad handed me the ziptop bag and I eagerly tore into it to see how the coins turned out. 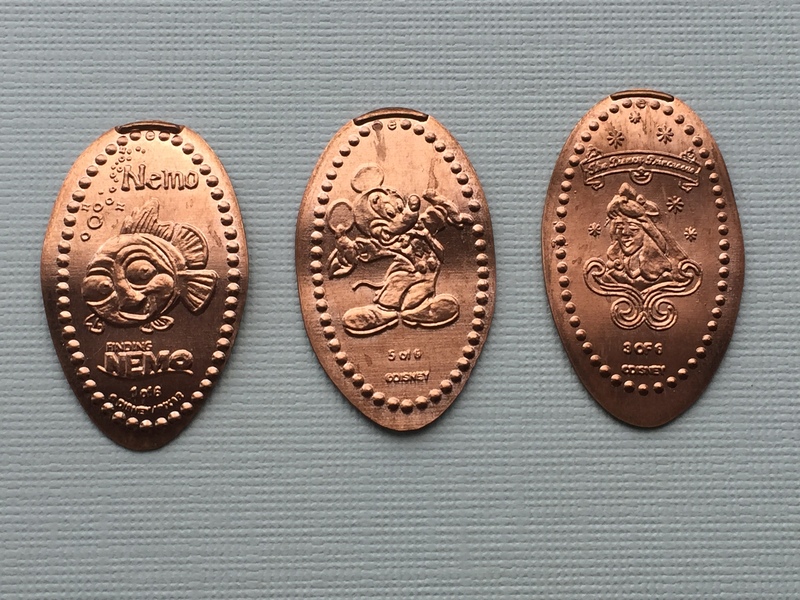 The Caribbean Beach Resort had four pressed coin machines available on property. Just as a FYI you do NOT need to be a resort guest to access the machine. 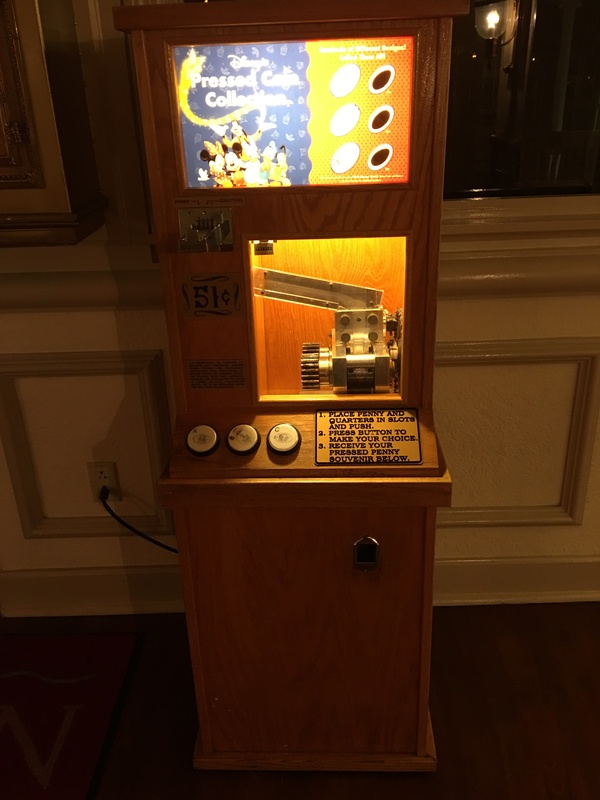 I have visited numerous resorts to collect the coins and just let the security guard know you are there to use the machines. They are more than happy to let you through. Since my parents had a busy schedule my father wandered around the resort late one night to visit each machine for me. First up was the machine at the Custom House. This is really just the registration building for the resort. In years past you would check in here to get your room assignment. But starting just last year you can sign up for online checking which triggers a text message on your cell phone with your room number when it’s ready. Makes this custom house kind of obsolete but thankfully there’s still a penny machine available inside. 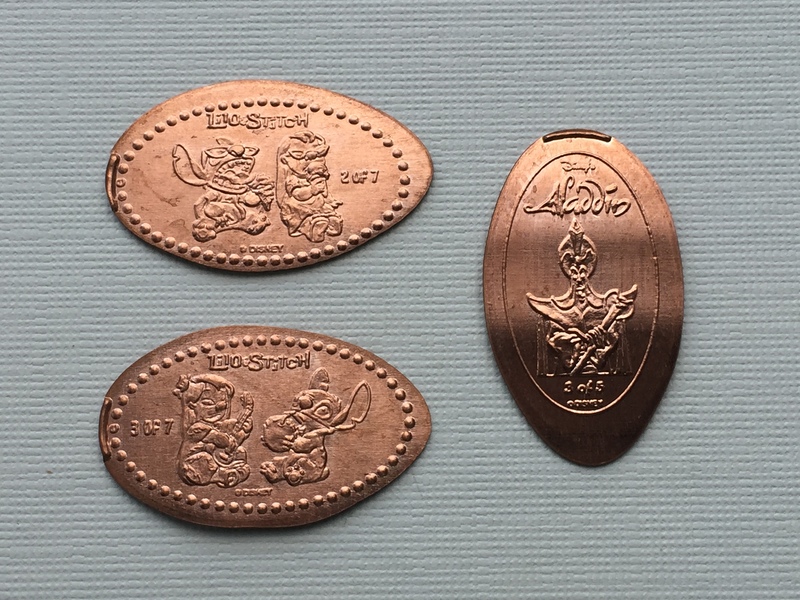 The pennies at this machine included images of Lilo & Stitch eating ice cream, Jafar from Aladdin, and another Lilo &Stitch playing a ukulele. Thankfully for my father’s sake the other three machines were all located at the same place. Near the big resort pool and recreation area is the Goombay Arcade. As you walk in along the far wall is a nice cabinet containing the three machines. 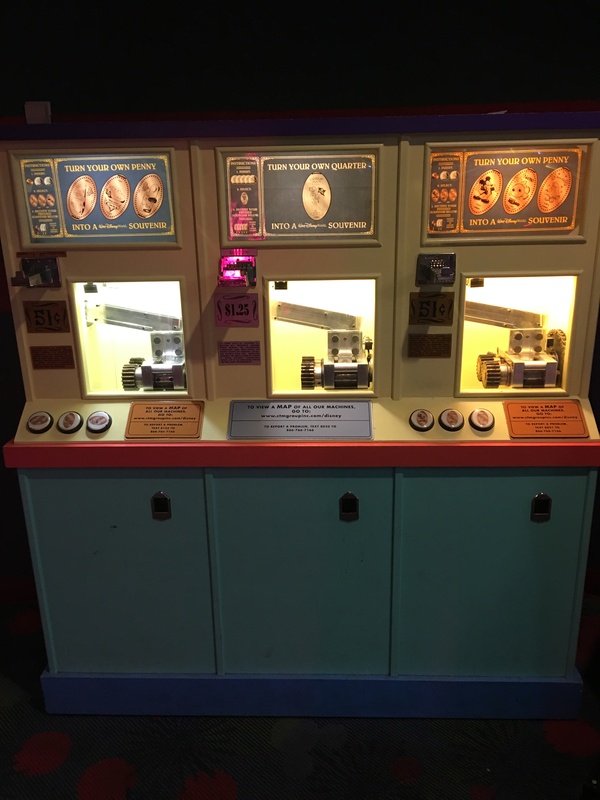 There are two penny machines that surround a quarter machine. Starting with the machine on the far left as I mentioned was a three design penny machine. 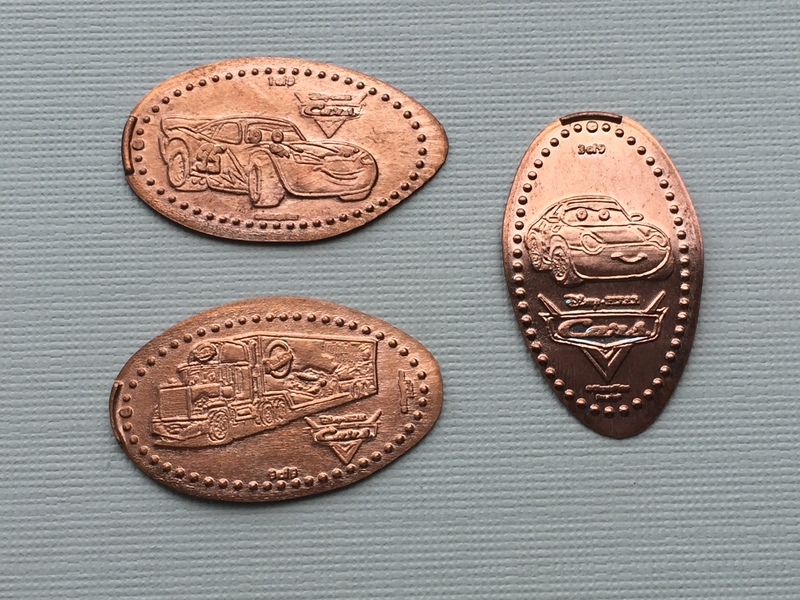 The pennies at this machine has some familiar faces from one of my favorite Pixar movies Cars. Lightning McQueen, Mack and Miss Sally. 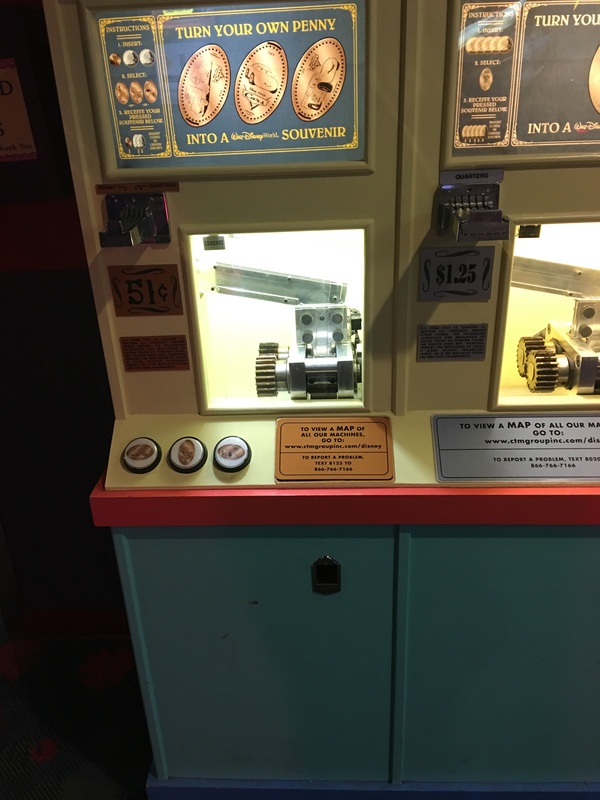 The middle machine has one quarter design available. 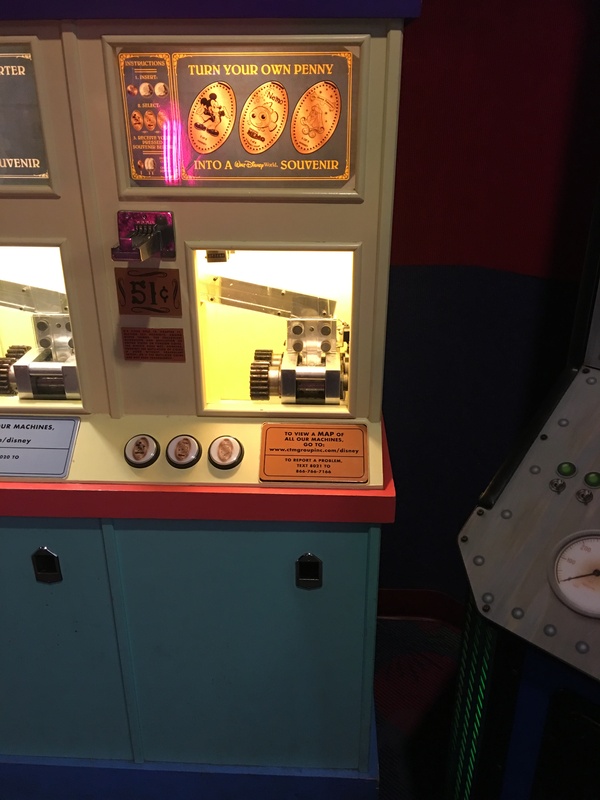 As a reminder the quarter machines take five quarters to use, four are the price to press and the fifth is the lucky one to be pressed. This is an interesting design and nicely themed for the Caribbean Beach Resort. It has Goofy dressed up like a Pirate with a Jolly Roger flag. 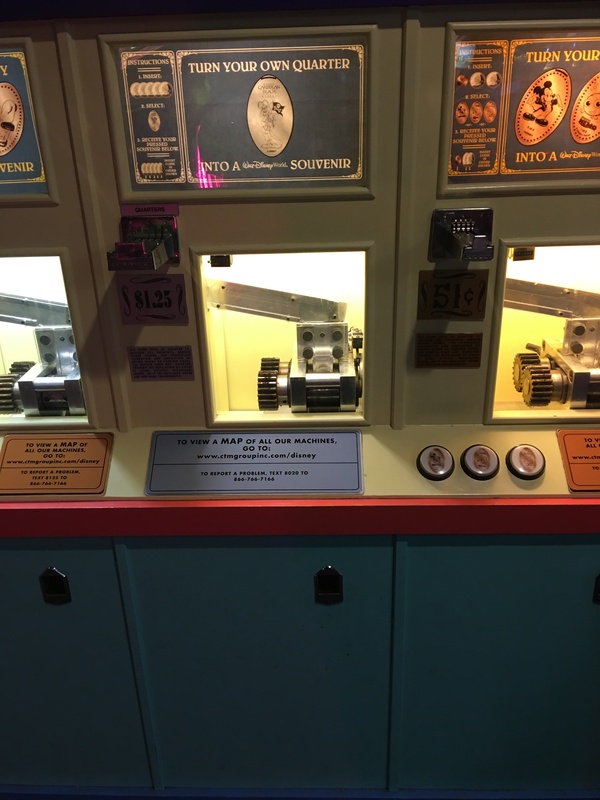 The last machine on the right side of the cabinet and also had three penny designs. These designs came our very nicely. There is Nemo obviously from another Pixar favorite Finding Nemo, Mickey in a Tuxedo, and Sleeping Beauty aka Princess Aurora. Overall I think my dad did very well. In previous trips I usually only give him one or two machines to collect, but he found all four and came back with some great additions for my collection. He did say that the map, and penny design images I included did help make it easier for him. As always I appreciated him taking the time out of his vacation to help me. He said it gave him an excuse to check out the entire resort, and he was happy to help anytime. Bwahaha (Evil laugh) he’s in trouble now!